A stunning watercolour print of a beautiful Bee for your home. Bee Print. 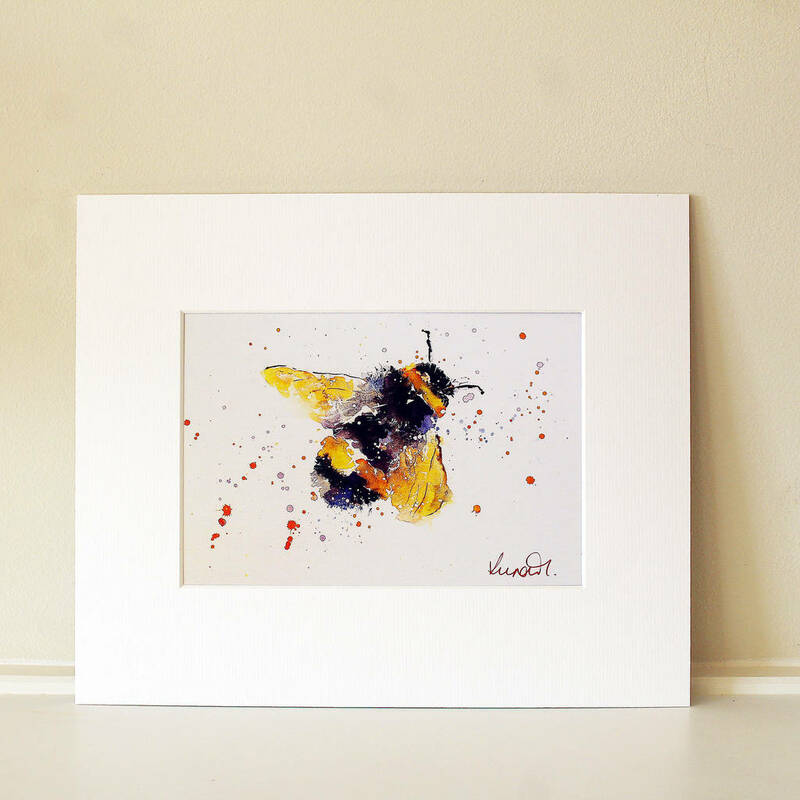 A beautiful print of an original watercolour painting of a Bee affectionately named 'Mr Bumble'. The picture will enhance the wall of any home or workspace and would be an ideal gift. The print comes in an iced white mount ready to put into a frame. Each print is hand signed by the artist. The print comes in A5 size. A high quality print on 350gsm paper with a silk finish. Mounted in a good quality wide iced white mount. The A5 print size comes in a mount and is suitable for a standard 30.5cm x 25.5cm (10" x 12") frame. This product is dispatched to you by Luna Harrison.